Affordably-stylish furniture: You can find it everywhere these days. 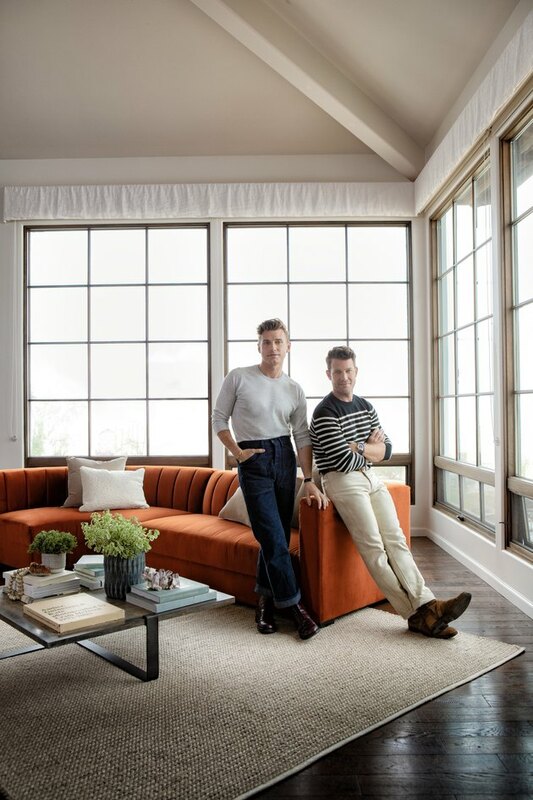 So what sets interior designers (and our fav power couple) Nate Berkus and Jeremiah Brent's new furniture line for budget retailer Living Spaces apart? Well, the pieces are manufactured locally in Los Angeles — their home — so hands-on quality control comes easy. "People have a lot of choices these days and we recognize that, so we're really comfortable and stand behind not only the design, but also the quality of what they're buying," Berkus told Hunker about the Nate + Jeremiah for Living Spaces line at last night's launch event in Hollywood. "And the fact that it's made locally — we were a part of the entire manufacturing process, we saw everything." "Everything has been such a labor of love," Brent agreed. "We've been the ones going to the showroom and to the sample room and working on the pitch and the scale and the colors of every design." And we can confirm: Each piece holds its own in terms of quality, value, and inspiration. Take the cozy shearling-esque Liv sofa and arm chair, for example. Berkus and Brent were looking for similar pieces at an affordable price point for their own home, but came up empty. So they decided to take the design into their own hands, using inspiration from the understated luxury-look of French interior designer and decorator Jean-Michel Frank. "The shearling sofas and chairs are a direct reference to France in the 1950s," Berkus said. "The fact that you can end up with a sofa that has that reference point and sort of blends in with any interior for under $1,000 is what we love." And yes, you heard that right: The majority of the pieces in the line — from sofas to accent chairs to ottomans — cost less than $1,000 a pop. "They all started as a sketch which has turned into samples which has turned into us basically having our third child: Our furniture collection," Brent said.